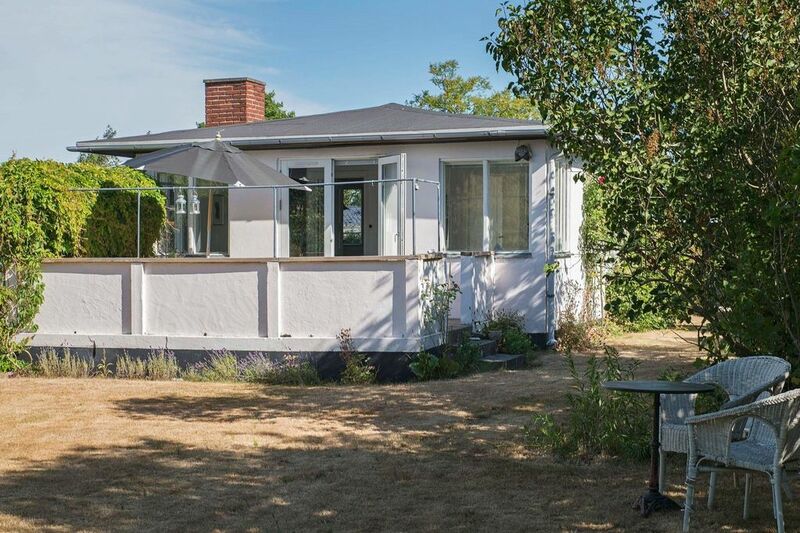 Holiday home near Ajstrup beach, one of the most attractive beaches in this region. The wooden house is bright and rather simply furnished, yet functionally equipped for a family holiday on the Baltic Sea. There are two bedrooms, each with a 140 cm wide double bed and a sleeping area in the living room. Outside there is a partly protected and slightly elevated terrace area with access from the living room. On the screened lawn property you can enjoy undisturbed the beautiful summer days, although the neighboring house is not far away. Only a few minutes walk you will find the child-friendly beach and the Baltic Sea beach.